The briefing is organized by Catholic Charities USA, the national office for Catholic Charities agencies nationwide. Catholic Charities USA provides leadership and support to member agencies in their efforts to reduce poverty and support families in their communities. The briefing will provide an opportunity for members of Congress to learn more about how emergency financial assistance can prevent episodes of homelessness and provide cost savings for government agencies, since homelessness is an expensive problem facing cities. At the briefing, Sullivan will discuss his recent research on the effects of financial assistance hotlines on homelessness prevention. Sullivan and his colleague William Evans, Keough-Hesburgh Professor of Economics and co-founder of LEO, led a study of the Homelessness Prevention Call Center in Chicago to find out whether these call centers can effectively keep people seeking help from entering a homeless shelter. Through their study they found that these hotlines have a considerable effect on people facing homelessness, and that emergency financial assistance successfully prevents homelessness — if funding is available. 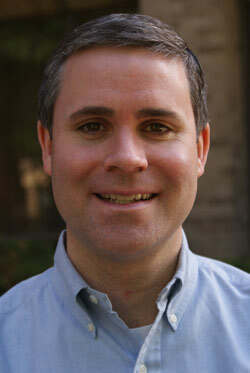 Sullivan’s research examines the consumption, saving and borrowing behavior of poor households, and how welfare and tax policy affects the well-being of the poor. He has been a visiting scholar at the National Poverty Center. Originally published by Brittany Collins Kaufman at news.nd.edu on September 15, 2016.